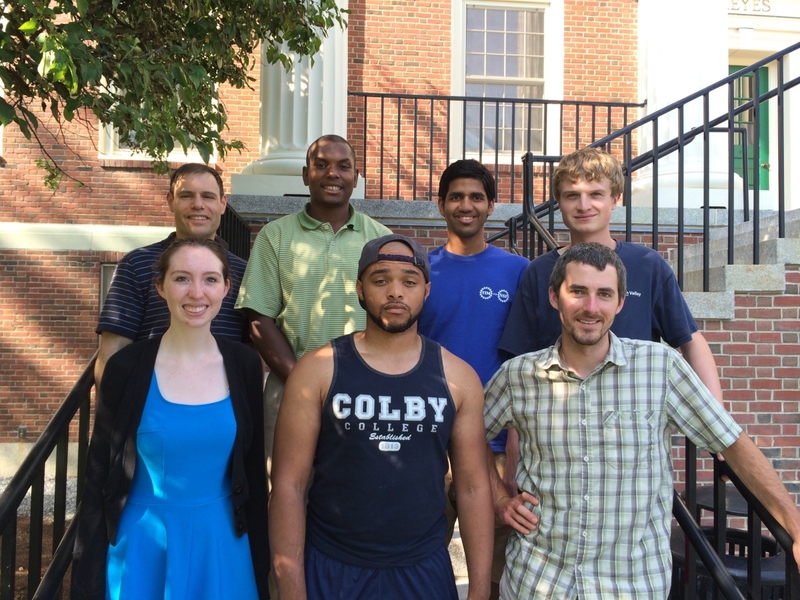 Reuben Hudson (bottom right on the photo) is currnetly a post doctoral fellow at Colby University in Maine, in the group of Jeffrey Katz, where he studies the synthesis of polymers. He secured this summer a large research grant on Green Chemistry with reknown green chemists Sankaran Thayumanavan from UMass-Amherst, Eric Beckman from University of Pittsburgh, and John Warner of the Warner-Babcock Institute, from the Science, Education, and Engineering for Sustainability (SEES) program of the National Science Foundation. Reuben earned his PhD from the Department of Chemistry at McGill in 2013 after working under the supervision of CJ Li and Audrey Moores. He won many awards while at McGill incuding the Alex MacInnes Fellowship in Green Chemistry (2011 and 2012) and the Sterry Hunt Award for Outstanding Teaching Assistants (2010-2011).